Since the beginning of time we had adorned our bodies with jewelry and tattoos. 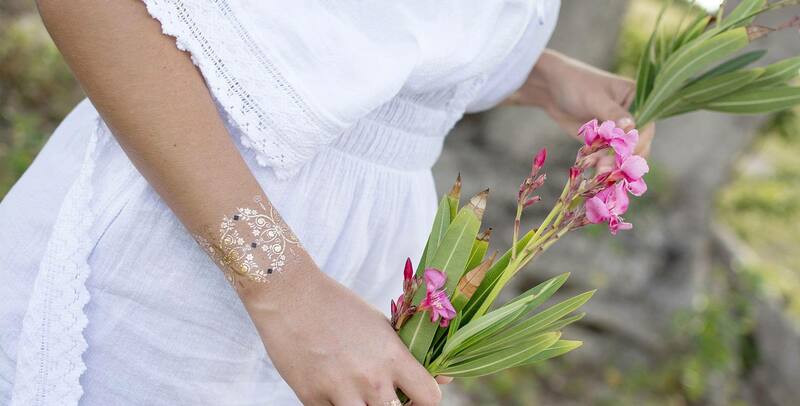 Bliss tattoos are a creative way to combine jewelry and tattoos in order to temporarily enhance our skins natural beauty. 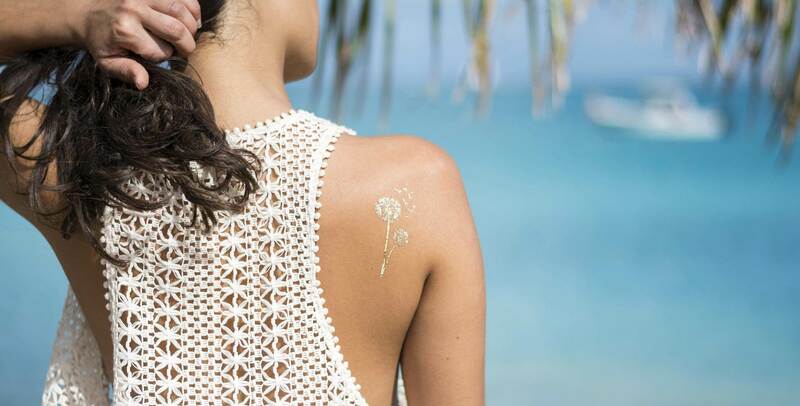 This unique and innovating method inspired the launch of Bliss Tattoos, a brand of high quality jewelry inspired temporary tattoos. Our tattoos have a professional durable finish, and we use the perfect shade of gold and silver to ensure a realistic look. 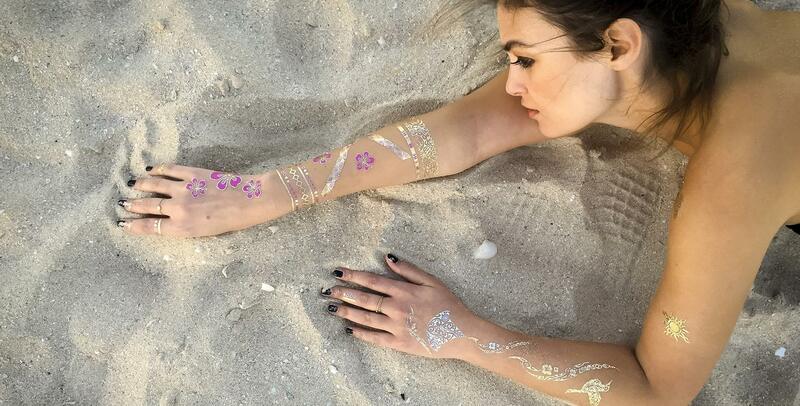 Bliss tattoos are perfect for all occasions, parties, festivals, beach, whenever you want to enhance your look. They are safe, non-toxic, water proof and last between 4-6 days with special care. Each collection set has a unique theme and comes with 3 sheets of jewelry tattoos giving you endless combination possibilities.